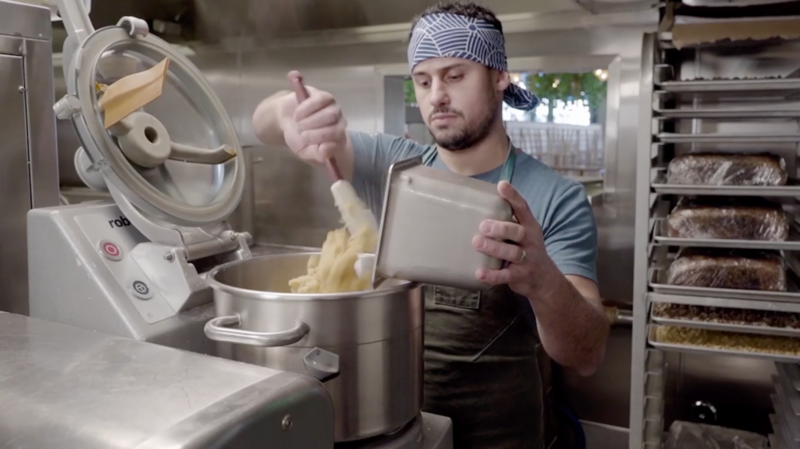 Ori Menashe takes hummus seriously. Like, so seriously that he spent several months making about 400 test batches. The chef, whose downtown restaurant Bavel took the top spot on our list of the best new restaurants of 2018, experimented with dried chickpeas from all over the world before settling on beans from Spain’s Andalusian coast and tried various brands of Palestinian tahini before perfecting the beloved dual-textured dish he serves today. Watch Menashe in action below. Bavel will be in the house at our Top 10 Best New Restaurants Event on Tuesday, January 29, at Rolling Greens in downtown. Get tickets here.